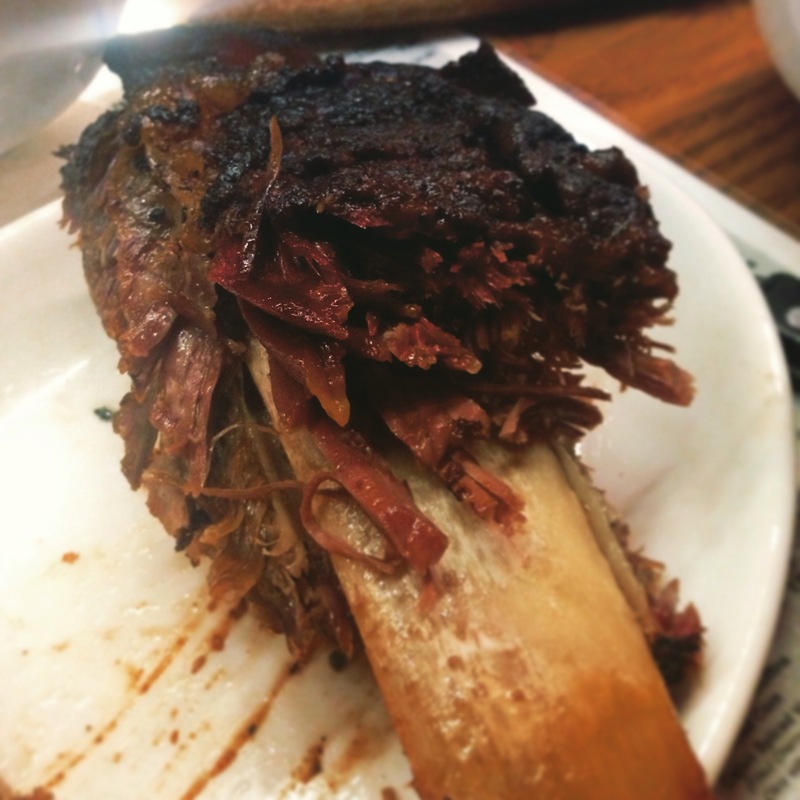 Bodean’s BBQ – Could I get a side of meat with those ribs? I have heard many a tale of the establishment that is Bodean’s. People have raved about the meat, and I’ve read reviews of the meat, plus it kept popping up on my Twitter feed because of the… yep, the meat. Now, I am vegetarian for one month a year and egg curry is probably my favourite dish ever. But I am a carnivore at heart, so when a work lunch was scheduled to take place at Bodean’s BBQ, I salivated at the mere thought. We walked in and the smoky, meaty smell hit my nostrils. Most of my colleagues were intimately familiar with the menu, and so they started recommending things right, left and centre. 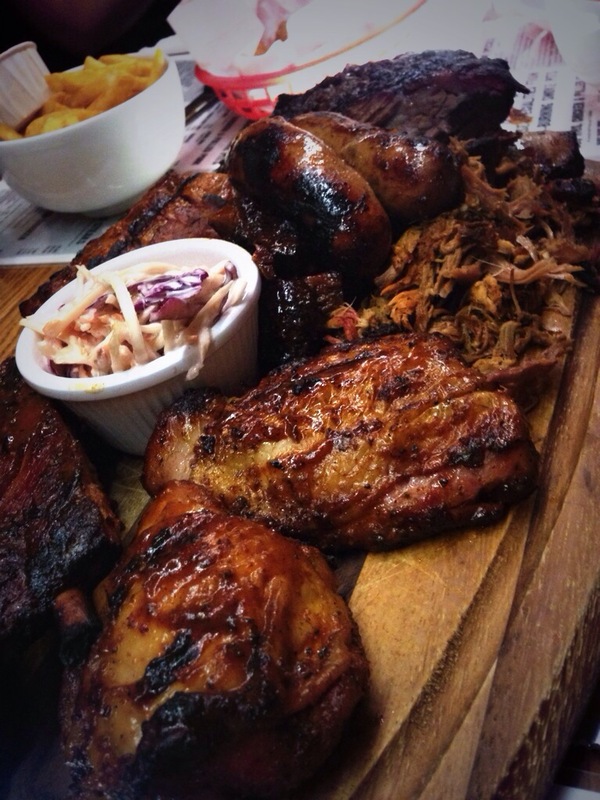 The burnt ends and pulled pork seemed to be a no-brainer, until someone pointed out the ‘Boss Hog Platter’, which included everything. And when I say everything, I mean everything. Just… look at it.